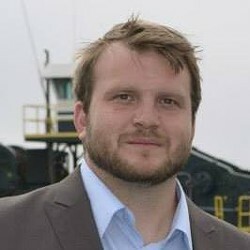 Hezekiah Allen, an Arcata resident who recently announced his run for the 2nd District seat in the state Assembly, has launched a change.org petition urging the Humboldt County Board of Supervisors to reconsider actions it took on June 3 — namely, swapping out a long-established and publicly vetted set of guiding principles in the county's general plan update for a brand new set developed behind closed doors and released by Supervisor Estelle Fennell less than four days earlier. Allen was among those who spoke at the June 3 meeting. He thanked Fennell and fellow Supervisor Rex Bohn for the new list of principles, saying that they "honor diversity." But he added that, "We need to take a little more time to balance between these two lists. ... I don’t appreciate the winner-take-all political culture." In his online petition, which by late Thursday morning had acquired nearly 300 signatures, Allen says, "insufficient time was available for public review and comment on such a significant change in language." Allen's politics are somewhat difficult to pin down. A registered Democrat and executive director of the Mattole Restoration Council, an environmental nonprofit dedicated to watershed restoration, Allen also serves on the advisory board of the Humboldt Coalition for Property Rights, the hands-off-my-land corporation that has infiltrated county politics over the past year. On his campaign website Allen says, "“I want to represent the people of this District, not any political agenda." UPDATE: Allen sent the Journal an email this afternoon elaborating on his political views. Long story short: I am an environmentalist who believes economic development is the only way to get society (and the planet) out of the mess we find ourselves in. No matter how much I might disagree with someone or some perspectives, we are all in this together, and my experience has taught me it is much better to maintain active dialogue with people of all perspectives even those perceived to be ones "opponents."